How do I sync music from iTunes to iPhone? There are a lot of people who are switching from Android phones to the iPhone. But as they are new to the Apple devices, they don’t know much about the features. And when it comes to iTunes, people often get confused about its working too. So, if you are also wondering how you can sync iTunes music to iPhone, then you don’t have to wonder anymore. Here, in this article, you are going to learn as much as possible about the syncing of iTunes music library with iPhone. With this knowledge, you won’t have to carry an MP3 player or a PMP to listen to carry your playlist along with you. A simple sync process will allow you to carry your entire iTunes library on your iPhone. So, if you want to know how to sync songs from iTunes to iPhone then go through this article carefully. Part 1. What Should You Do Before Sync Music from iTunes to iPhone? Before you are about to Sync Music from iTunes to iPhone 6/7/8/8plus/X/XR/XMax, it is vital that you understand a few things. 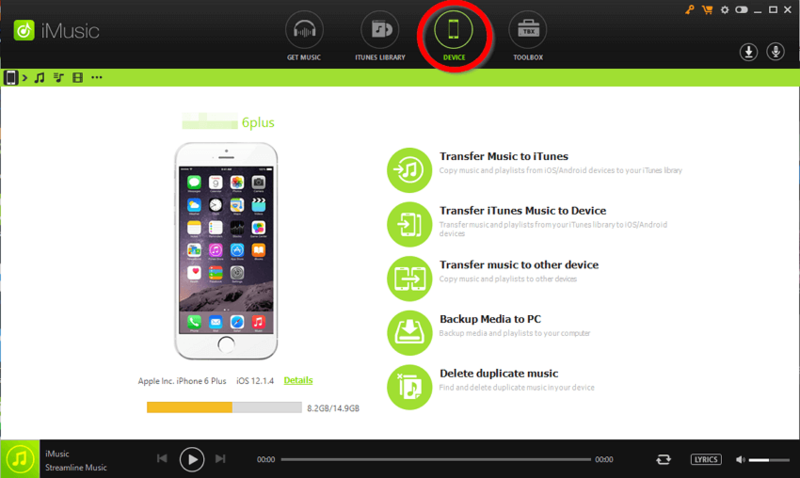 You need to set up your iPhone to successfully transfer the music files. So, here is the checklist that will help you to ease up the syncing of iTunes music to iPhone. This is the first thing to remember. Ensure that you have the latest version of iTunes installed on your system. If you are not using the latest version then some issues might arise during the transfer. Normally, iTunes automatically notify the users about the update. But you can also run a manual check to see if there is an update pending or not. Once you are sure that you have the latest version, close the program and open it again. You can also download the application from the official iTunes website. If you have a Mac system then you can uninstall and install the latest version of the application from the App Store. To sync iTunes music to iPhone you need to understand that the method works in one way, not the other way around. This means that any song from your iPhone which doesn’t exist in the iTunes library will be deleted from the device. The iTunes application doesn’t merge the songs with the existing ones, it replaces the songs in your iPhone. In case you have the iTunes installed and it fails to update, then you should download it again on your system. This is most likely to remove the error that is causing an issue during the transfer. After that, you can restore the iTunes library from a recent backup. With iTunes, you can easily check how much empty storage is left on your iPhone. It is recommended that you check the existing storage otherwise the transfer will fail in between. And you’ll have to sort out the entire library once again which is a very hectic process. Thus, as you are preparing to sync up the files between iTunes and iPhone, always remember these tips to avoid errors during the transfer. If you want a solution to sync iTunes music to iPhone without any hassle, then you should try out iMusic. This software is specifically designed to be an all-in-one music management tool better than iTunes. The software is capable of rebuilding the iTunes library. With this software, users can easily manage, record, and download music. 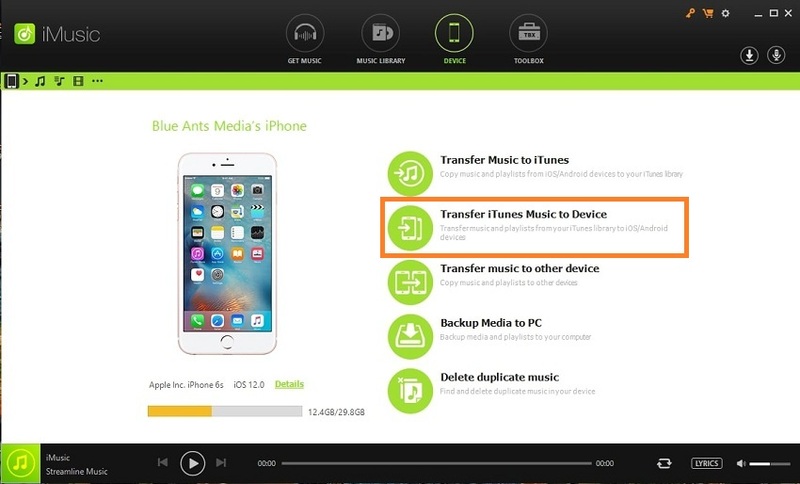 Furthermore, you will be able to transfer the music files to and from various iOS devices and iTunes. This application can fix iTunes library and also allow the users to backup and restore the data. There is a powerful toolbox too which further provides some advanced options to the users. Sync iTunes to iPhone without erasing the files . 	The software contains very powerful tools that help the users to manage the downloaded and purchased music files. 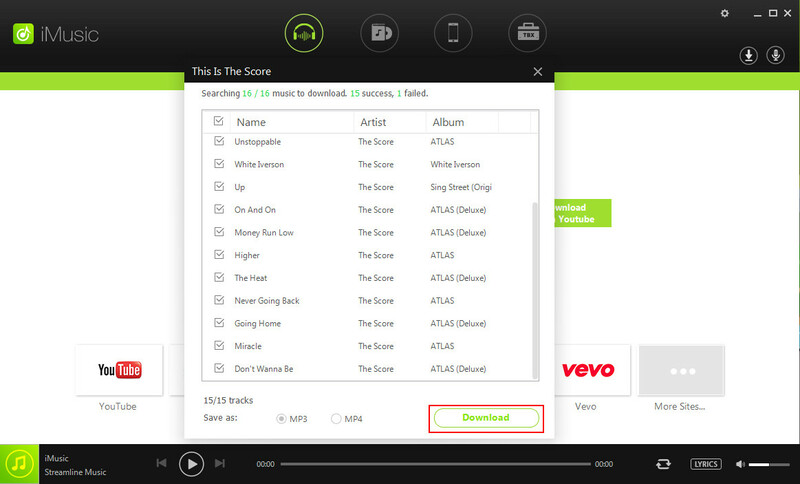 	It allows the users to transfer music between iOS and Android device and iTunes/Mac/PC. 	The application can also browse and download the music files from over 3000 websites. 	Batch downloader is very effective that it can download almost 600 songs at once. 	The software has a wide array of file format and quality support for the music files. Download the iMusic application from the official website and install it properly. As the software is installed, launch it and connect your iPhone with a digital cable. As the device is connected to the system, the software will automatically detect the device presence. You will need to switch to the Device tab to see the device information and options on the screen. To access the device data and further transfer the files, you will be prompted to trust the computer. Click on the “Trust” option and move on to the next step. As you will see various options on the screen, you need to choose the “Transfer iTunes Music to Device” option and you will be navigated to another screen. Now you will have to specify which files would you like to sync or transfer to the device. You can either select the entire library or selected playlists to sync the files. As the software scans the iTunes library, the songs and other files contained in the library will be displayed on the screen. From that list, you can check the song you want to sync with the iPhone. Luckily, you can select multiple files at once and sync them with the iPhone simultaneously. There are two methods that you can use to sync or transfer the songs from iTunes to iPhone. The first method involves right click on the selected files and chooses the “Add to” option. Further, you will see your device name and as you click on the name, the files will be synced with your iPhone. Note: Another method that you can use is the “Export” icon. The icon is present on the right side of the menu tab. When you click on the icon, you will see the Export option with your iPhone name. Choose your device and transfer the files from iTunes library to iPhone in just one simple step. With this software, you can easily transfer music videos and entire playlists too without even changing the window. And the biggest benefit that you’ll have by using the iMusic app is that it won’t delete the already existing playlist form your iPhone. 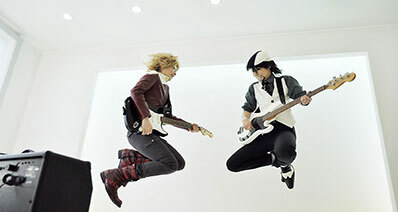 Thus, you will have previous and the new songs intact in your iPhone. Luckily, iTunes allows the users to directly sync iTunes music to iPhone. To do this, you can opt out for the automatic or the manual method. Using iTunes is obviously the traditional and the most effective method to sync music and other media files too. Normally for the new users, iTunes can be a little bit complicated. The main reason why people use the iTunes application is because of its brilliant music management tool. It doesn’t matter which model of iPhone you own, it can be used to sync the music files between various devices. Step 1: Start by launching the iTunes application on your computer and connecting your iPhone with it. 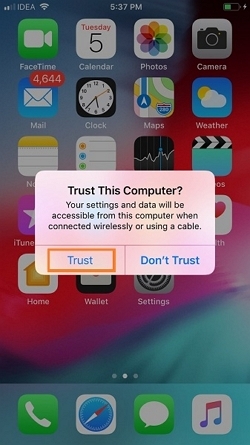 As the device is detected by iTunes application, your iPhone will ask if you want to allow the device to trust the system. 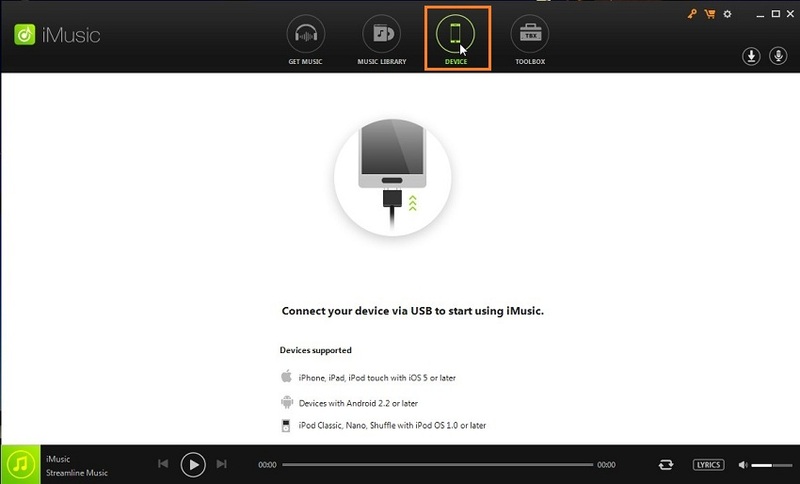 Click on the Allow button and the device will be connected to iTunes. Step 2: Click on the Device icon on the home interface of the iTunes application and then select the Music option from the left side panel of the window. Step 3: As you click on the option, the music window will appear on the screen. There will be checkboxes in front of every option on the screen. You have to check the box in front of the Sync Music option. This will directly sync the music as you apply the changes in settings. But before you finalize the change, you can further personalize the sync by choosing playlists, artists, genres, etc. Step 4: Finally click on Apply button and save the changes you just made. As you click the button, the application will start syncing the music library with the device. 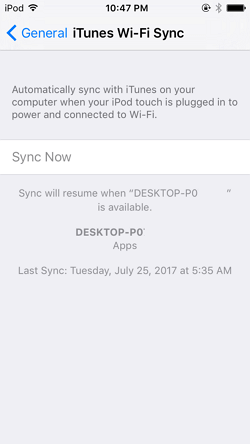 Even if the syncing doesn’t start up automatically, then you can click on the Sync button again. As much as this method is effective, it can also lead to some errors. Sync itunes music to iPhone with simple clicks. Conclusion: Hopefully, now you know how to sync songs to iPhone with and without iTunes. As there are chances that iTunes will give error while you are trying to sync up the music files. But if you use iMusic to sync or transfer the files, then you will be able to easily get your iTunes library files on iPhone. As you can see, there are some downsides of using the iTunes application to sync the music files with the iPhone. But these downsides can be easily eliminated if you are using iMusic.